One of the more remarkable stories outside the Brexit bubble relates to Faisal Ahmed. Ahmed was recruited to the school through the training programme Teach First. This organisation receives many millions of your taxes to “promote” education. Seems to be a bit of a theme going on with this group that pushes so many “teachers” into our Education system but I am sure it can be easily explained. Perhaps. How is it possible for Ahmed to have gained the teaching position at this leading school in the first place? Are reading and writing skills now optional in the UK? Ahmed subsequently sued the school for constructive dismissal and disability discrimination after he quit his post. Thankfully he lost his case and subsequent appeal – the London Central Employment Tribunal threw out his appeal last month. 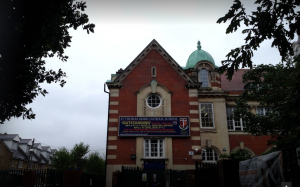 Remarkably, Teach First admitted that they had not told the school – St Thomas More Catholic School – about Mr Faisal’s inability to read or write. How can this have happened? Did they not think it relevant or did they seek to conceal it? 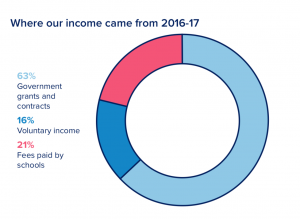 A quick check of Teach First shows us that according to their most recent accounts, the UK taxpayer has funded them a cool £39m. Is this really an appropriate use of public funds? How can an organisation that pushes illiterate teachers into our Education system be worthy of your taxes? Teach First is clearly a left-wing activist organisation that seems intent on subverting British education. It should be stripped of all further public funding.